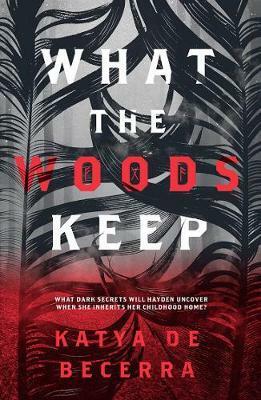 This month we had a visit from debut author Katya De Becerra, whose supernatural thriller What the Woods Keep was released in October. Katya gave us a fascinating rendition of her relentless determination to get her book published. She approached over 70 literary agents before she found a US agent to represent her work. The agent then had to submit to over 30 publishers before finding a US publisher, Imprint, to publish her novel. Katya was born in Russia but lives and works in Melbourne, so she was very pleased when Australian publisher Allen & Unwin bought rights to publish her book locally. Listening to her experience was a powerful lesson for all of us of the importance of believing in yourself and never giving up on your dreams. Katya also shared with us her obsession – which began in childhood – with unexplained mysteries, supernatural phenomena and mythology. All these elements combine in fascinating ways in What the Woods Keep. She spoke of the Russian writers who influenced her work, including Eduard Uspensky, and her favourite book of all time, Roadside Picnic by Arkady and Boris Strugatsky, which was published in 1972 and inspired the movie Zona. Alongside the glimpse Katya gave us into her dedication to her craft and her work ethic, she also shared a teaser for her new book, currently with her editor, which will be another supernatural thriller. We can’t wait to read another tale from this talented, distinctive author.